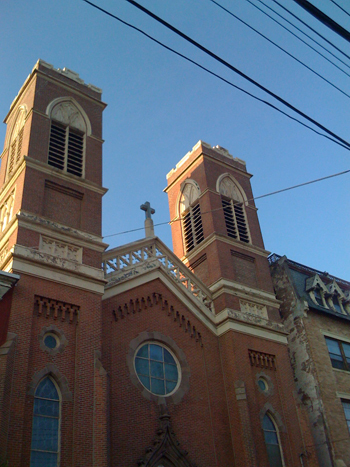 The renovation of Saint Boniface from an abandoned Catholic Church into 21 residential apartments was dealt a setback when the zoning board delayed action until September. Local residents who are under the impression they live in Jersey Suburb rather than Jersey City are concerned about the lack of parking. Fliers from local activists have littered the streets around the church, including taped to trees. The Harsimus Cove Association is hosting a special meeting to attempt to work out concerns residents have with the developer.